What happens when the "quantified self," the term for using technology to record and analyze personal data to improve performance, meets gamification, the buzzword for applying game mechanics in non-game settings, in a play to increase employee engagement and productivity? The 11-month-old company, which emerged from stealth mode last week with the announcement that it had raised $15.5 million in a Series A round led by Kleiner Perkins Caufield & Byer, has released software that makes employees' stated goals accessible to everyone in an organization, measures progress and feedback, and illustrates how individual goals align with overarching cooperate initiatives. Essentially, BetterWorks creates a fleet of 'quantified employees’ via a dashboard that uses game mechanics to reinforce communication, collaboration and check-ins. The idea is that if employees understand their own objectives and how they connect to the larger whole, while receiving constant feedback on their progress, they will be more engaged and productive. It’s a system that’s already been created, and used successfully, in-house at Silicon Valley’s biggest success stories, such as Google and LinkedIn. BetterWorks recreates these systems for companies that don’t have the resources or knowledge to build one themselves. Twenty-five enterprises are already using BetterWork’s system, from small organizations to multiple Fortune 500 companies. Kris Duggan is perhaps the ideal candidate to merge gamification and the quantified self in order to increase productivity. The co-founder and CEO of BetterWorks, Duggan knows a thing or two about gamification having, quite literally, written the book on it (Business Gamification for Dummies, For Dummies, 2013) along with founding Badgeville, a company that applies game mechanics to drive customer engagement. Duggan is also a 'quantified self' evangelist. "Measurement is a valuable thing. You can't improve something that you don’t measure" he says. "Feedback is crucial, which is why I'd always prefer to know that I took 8,000 steps today than not have that information." Bing Gordon, a general partner at Kleiner Perkins Caufield & Byer who sits on BetterWorks' board, is also intimately familiar with gamification – or what he likes to call “video game thinking” -- having spent over a quarter of a century at Electronic Arts before leaving in 2008 to join the VC firm. For him, game mechanics and quantification complement and enhance one another. "I've seen it with games, the way that boys and girls like the clarity of numbers to get some feedback," he says over the phone. From personal experience, Gordon knows that we're more likely to execute a goal if we write it down; from there, the odds improve if we track our progress, and improve even more if we add a social component, for example allowing friends and family to check-in and offer feedback and encouragement. Gordon is involved with companies that capitalize on this principle, including MyFitnessPal, which makes a calorie and exercise measurement app, and Jawbone, which produces wearable wristlets and headsets that measure activity, eating habits, and quality of sleep. Both products add a social component to the collection and analysis of personal data. “I use the Jawbone app, and so does my daughter, and we can see every day how much sleep and how much exercise we got,” Gordon says. “Every now and then I'll get: 'Way to go dad! 18,000 steps!' Or: 'Dad, get more sleep.' It takes five seconds for her to give me a little nudge, and the nudges are effective." That is, in short, is BetterWorks' philosophy: company goals are more likely to be executed if they are visible, trackable and social. 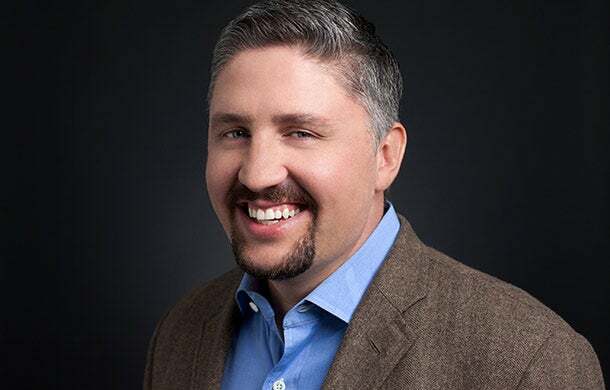 "BetterWorks takes all these tried and true mechanics that the most disciplined people use to help them achieve goals and puts it them in a software platform that can work within a company,” Gordon says. There's also a strong game component, although both Duggan and Gordon are cagey about describing the company as a gamification company, perhaps because in recent years the term has lost much of its initial luster and is now, in the minds of many, synonymous with trivially slapping badges onto non-game contexts. "There’s more gamification in BetterWorks than in, say in LinkedIn," Gordon admits (although he's called LinkedIn a game before), “but it’s the dashboarding that’s attractive – the surface seems modern to people who have grown up with games and apps and mobile. It doesn’t feel like a formal game." BetterWorks' system, Duggan contends, can't be equated with a competitive game because there are no winners and losers. There are, however, competitive elements to the platform. For example, employees are able to see how many nudges (the equivalent of a "what’s going on or ‘poke’,” Duggan explains) and cheers (a ‘like’ or celebration of a job well done) their co-workers have received, as well as which members of the corporation have personally viewed their goals. “We do things like identify hot goals, which goals are getting the most views,” Duggan says, which he calls the platforms 'LinkedIn feature" after the popular ability on the networking site to see whose viewed your profile, and how your profile compares -- in views, connections and other signs of prestige -- to the other profiles in your network. At its core, this feature is addictive because it lets you rank yourself against your professional contacts. 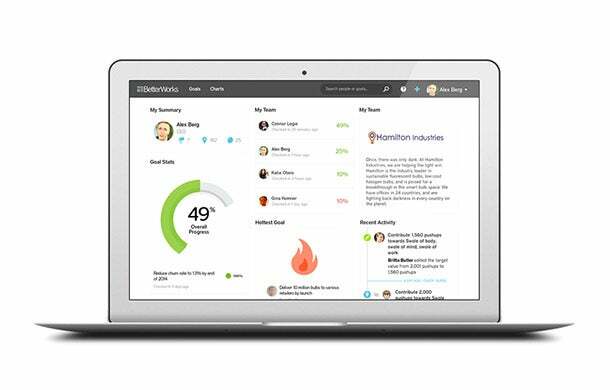 Similarly, BetterWorks provides metrics in which you can do the same with your colleagues. In the end, the biggest theme running through BetterWorks is transparency. Because ultimately, there is transparency in data. Employees are disengaged because they don’t have a clear understanding of how their work fits into the company’s overarching strategy, Duggan says, and they aren’t receiving adequate guidance or feedback. With his system, suddenly performance and strategy are both visible and trackable. “Being more open can have a massive ripple effect,” he says. If someone is promoted, for example, other employees can trace their progress on the system – what were the actions that precipitated the job bump? – and emulate that same behavior. It provides a template for success.